3-D 'Motion Pictures' From The Civil War : The Picture Show History springs to life in wiggling stereoscopic images. With the 150th anniversary of the Civil War's beginning upon us, a plethora of photographs and exhibitions will bring out familiar images and reveal some new ones. As a photo historian, I'm interested in looking at the intersection of the personal photographic experience and a significant national event. Perhaps one of the most challenging kinds of images to show, especially via the Web, are stereoviews, also known as stereographs. 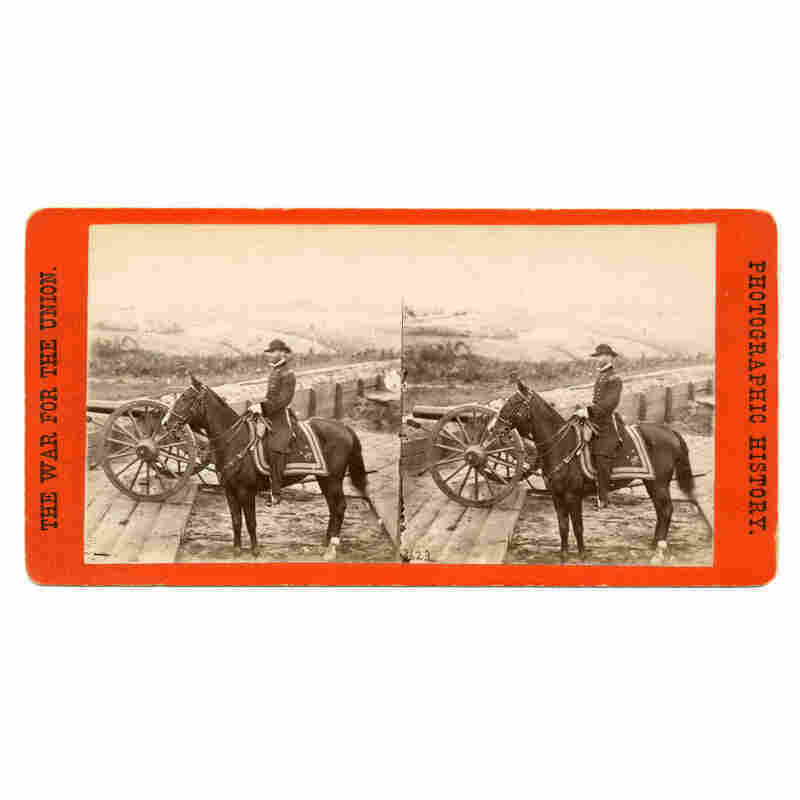 A stereoview is two photographs of the same scene taken from two slightly different perspectives, mounted side by side on a card; the photos combine and appear three-dimensional when seen through a viewing device called a stereoscope. Here are some animated stereoviews from the Smithsonian's Photographic History Collection to show the images in 3-D by flickering the right and left sides of the views. Your eyes and brain will collaborate to give the sense of depth. The captions are transcribed directly from the back of the stereoview card. Consumers made choices about the images they brought into their homes. These stereoviews, and others like them, would probably have been experienced in a multigenerational group of family and friends. Political views, social concerns and memories would have been discussed and shared, providing dialogue and reinforcing beliefs — perhaps not so different from watching the evening news today. Since photography's invention, there have been multiple experiments and successes in bringing "reality" and photography together. Some may think that animating these images is a visual gimmick, but it falls in line with the continuous efforts to share collections across the Web. The Photographic History Collection holds more than 35,000 stereoviews of various themes by more than 400 makers, photographers and distributors. Other views from Smithsonian collections can be seen at collections.si.edu.